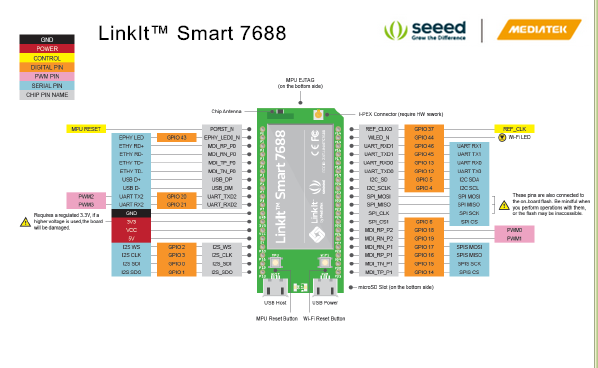 Notify me by email when LinkIt Smart 7688 becomes available. 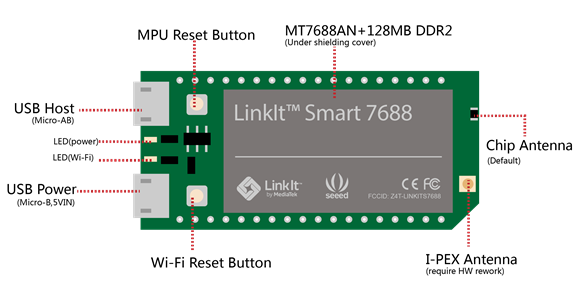 The LinkIt Smart 7688 is an open development board, based on the OpenWrt Linux distribution and MT7688. The board is designed especially to enable the prototyping of Rich Application IoT devices for Smart Home. The board offers you the memory and packet storage to enable robust video processing. The platform also offers options to create device applications such as Python, Node.js and C programming language. It is a WiFi Audio which allows your mobile phone to connect to its WiFi and play the music in your phone. 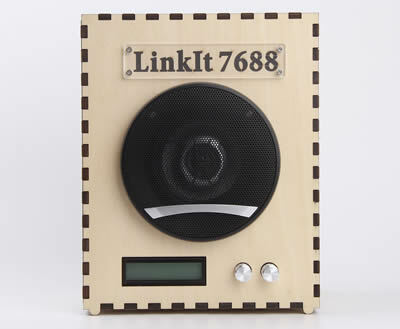 If you connect the Linklt Smart 7688 to your Router, the Audio will show the IP on the Grove RGB Backlight LCD, and also the music names.